People asked why I invested time in making these pages. Well, first of all I like to share my findings with others, and secondly the ads on these pages generate the odd click or two, resulting in a couple of bucks that pay part of the expenses. 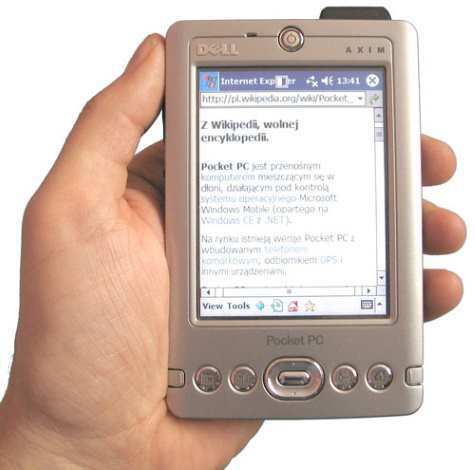 There are thousands and thousands of great freeware and shareware programs available for the PocketPC platform. For months and months I have been looking around, downloading & trying freeware, and I finally came up with this TOP 20. These are just *my* favourites, so there may be some stuff that you won't find interesting. But there is a serious chance that you will find a gem here you didn't see anywhere else. Hope you enjoy exploring these files! PS: as far as I know (but please investigate further! ), all programs should run on Windows CE 2003, CE 2003SE, Windows Mobile 5, Windows Mobile 6, Windows Mobile 6.1, Windows Mobile 6.5, Windows Mobile 6.5.1, Windows Mobile 6.5.5, Windows Mobile 6.5.3, Windows Phone 7 and Windows Embedded Handhelds. And yes, these are old machines, but still in use! If you still use or have one you may be glad to have found these links today (you're welcome!). 6.Visual GPS CE. Freeware. GPS Utility/Program. Description: displays GPS data graphically as well as record the raw GPS data (NMEA 0813) to a file. Other features include satellite azimuth/elevation, GPS signal quality, analog gauges and statistical position averaging. Description: Ephemeris is a program for computing information about sunrise, sunset, moonrise and moonset for a given date and location. In addition to reporting the times of these events, it also gives compass bearings so you can predict not only when but also where on the horizon the sun or moon will rise or set. Description: The version of Battleship is much like normal battleship, but with 2 exceptions to the rules: 1: You play against your self, you have 25 allowed misses total, 2: The ships can wrap around the edges of the board. Description: Use this Biorythm application (BioChart) to ensure safety, health and maximum capacity for you based on your cycles (Physical, Emotional, Intelligence). Description: PocketChess v1.0 for Windows CE Handheld PC is a high quality, well featured Chess playing program for your Windows CE Handheld PC. 11. CPU detector. Freeware. Utility. Description: with this tiny little program (.exe file) you can quickly check if the CPU inside your pocketpc is an Intel XScale processor.